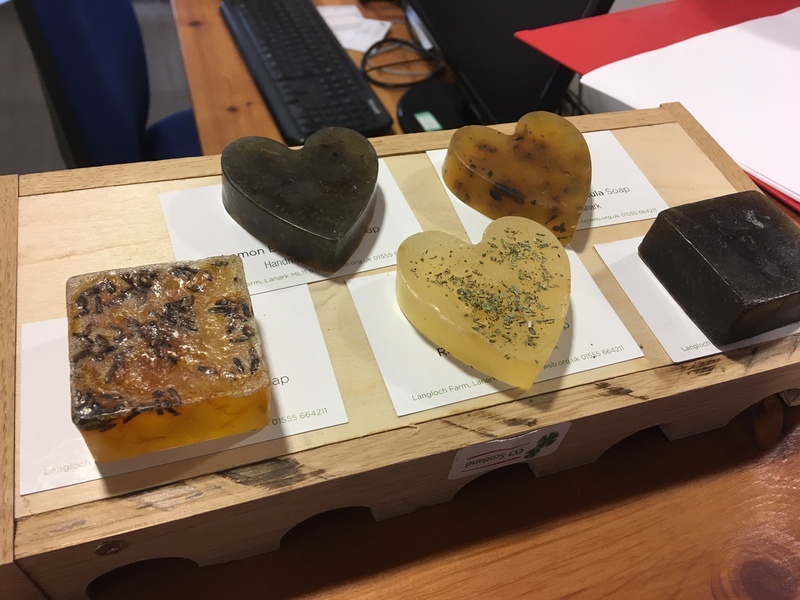 Hi everyone, it’s been another busy week for the Development Trust with lots of meetings at Castlebank Horticultural Centre. Tuesday afternoon saw us visit CCI (Clydesdale Community Initiatives) up at their Langloch Farm base in Lanark. We enjoyed a tasty homemade lunch and discussed plans for this year’s community growing programme. Along with other local community gardens, at Castlebank we grow a range of produce which is donated to the local Clydesdale Food bank. 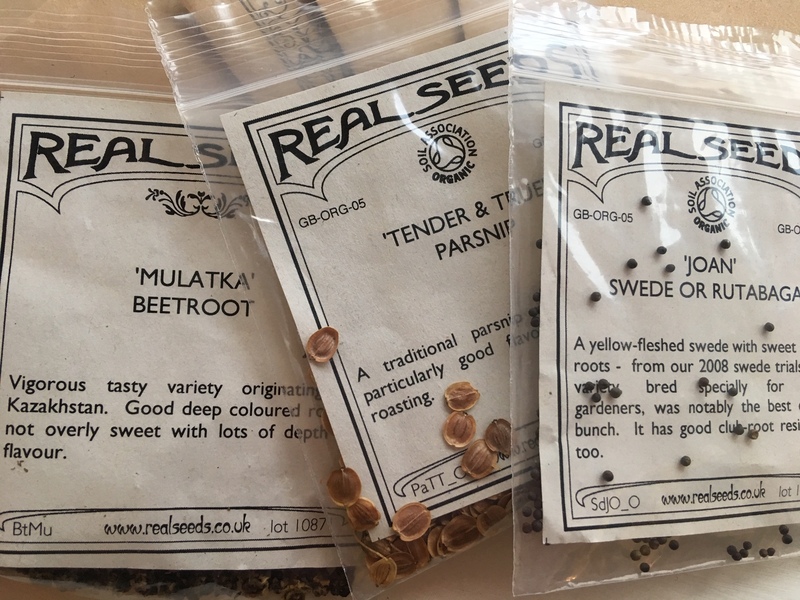 This year’s crop will include beetroot, parsnips, leeks, swede, potatoes and onions – to name a few! 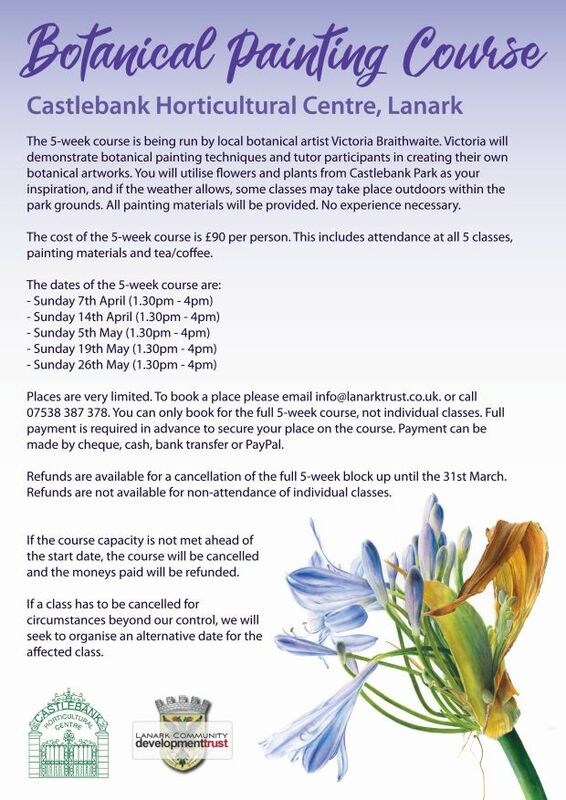 In the middle of the week we began promoting our 5-week Botanical Painting Course which is taking place at the Castlebank Horticultural Centre in April and May. Places are already filling up fast so if you would like to book on please email info@lanarktrust.co.uk as soon as possible. 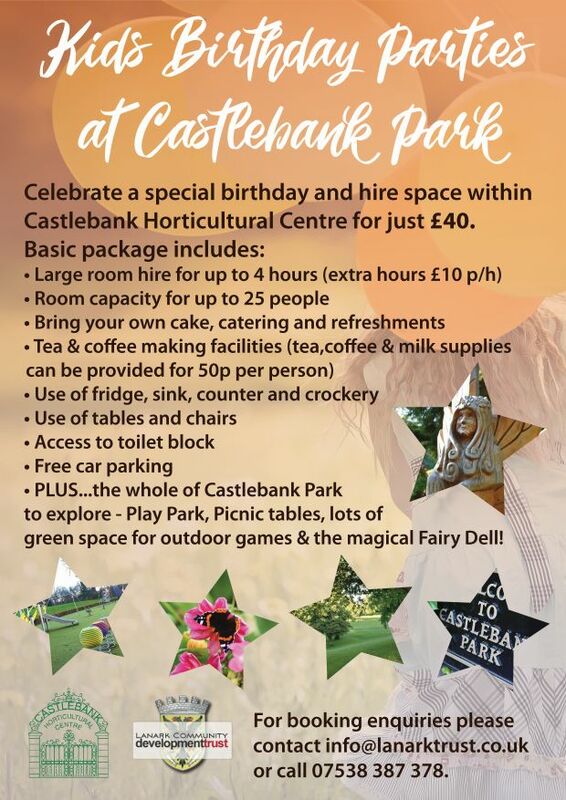 We also shared details of Kids Birthday Parties at Castlebank Park and the facilities we have available for hire – full details in the posters below! 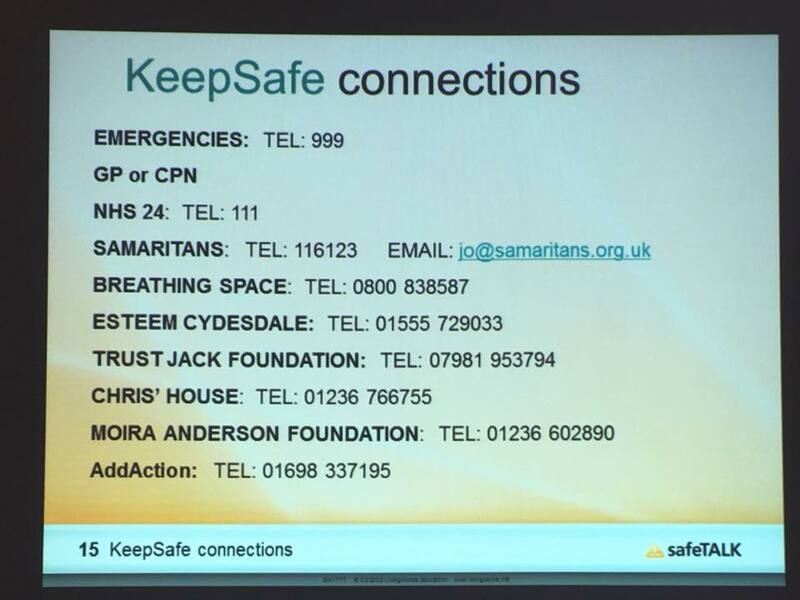 On Thursday we hosted an incredibly informative and thought provoking SafeTALK (Suicide Alertness for Everyone) with ESTEEM Clydesdale. 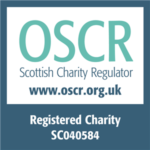 I have just noticed that there is another safeTALK being hosted by the Lanarkshire Carers Centre on Wednesday 13th February in Lanark Memorial Hall from 10am – 1pm. 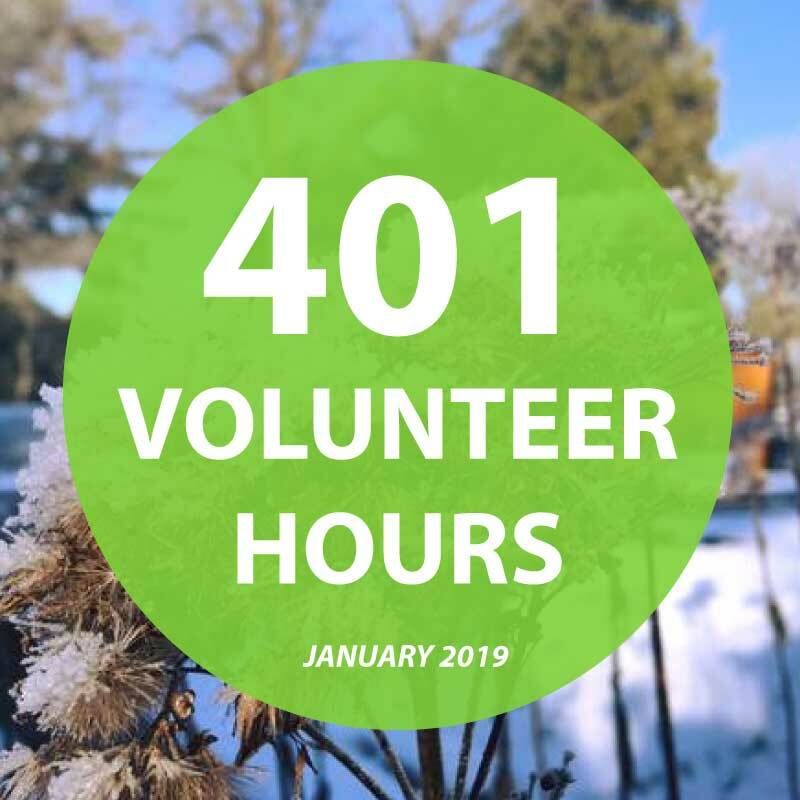 Click here for the full details. Towards the end of the week we shared a new video which showcases the diverse range of local businesses voting YES for the Discover Lanark BID. The Ballot deadline is just over 2 weeks away, and businesses are urged to return their papers by Thursday 28th February. This weekend, a new exhibition opens in the Tolbooth featuring the work of Lanark Grammar School Higher Photography pupils of 2018. Little Fix are also playing in the Memorial Hall on Saturday afternoon.